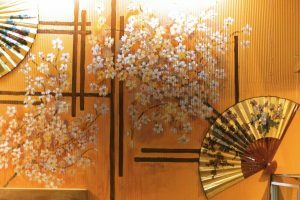 Japanese Restaurant Minneapolis: Go Out for Dinner Tonight! Why Not Go Out for Dinner Tonight? People go out to dinner for all types of reasons, whether it’s to celebrate an anniversary, a birthday, or just because they felt like it. At Moto-i, we’re always happy to see people, no matter the reason, and if you’re in the mood for authentic Japanese cuisine in Minneapolis, we’d love to see you tonight! 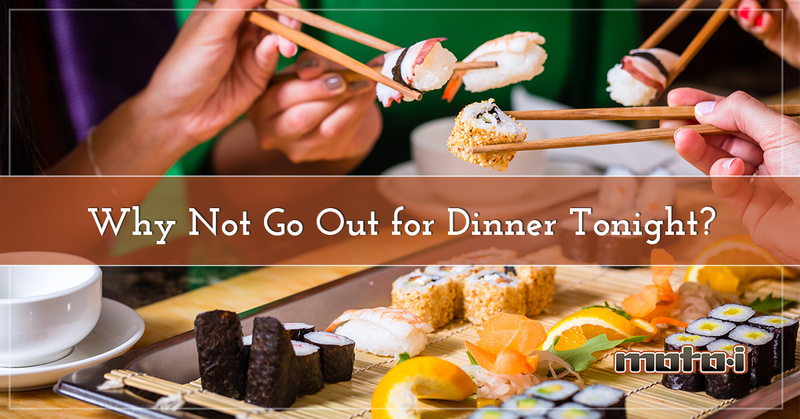 In this post, we’ll look at some of the benefits of going out to eat versus staying in and cooking at home. When you get home at the end of a long day, the last thing you may want to do is cook a meal, even if it’s just for yourself. You don’t have the energy to find all the ingredients, put them together, and wait for everything to finish cooking. At our Japanese restaurant, you’ll receive fast and friendly service, and a hot meal that will leave you full and satisfied. You may enjoy cooking at home, but you may also run into the problem of cooking the same few meals over and over again. You might be really good at making a certain dish, but you and your family may be getting tired of the same meal three nights a week. By going out to eat, everyone can order something they want, and you can perhaps try a dish you’ve never had before. If you’ve never had traditional ramen, we highly recommend it! Let’s face it, we all like the idea of having someone wait on us. You may get some of that at home, but when you truly want service, there’s almost nothing better than a restaurant. Our wait staff will make sure you have everything you need, and they’ll gladly answer questions about any of our drinks or dishes. If you need another cup of sake, they’ll bring one to you right away! You might be someone who enjoys supporting local businesses, and you try to do your part by shopping locally and eating at local restaurants. Moto-i is proud to be a part of the Lyn-Lake neighborhood, so if you live close by, or you want to see what our Minneapolis neighborhood has to offer, visit us for lunch or dinner. You’ll be supporting the local economy while enjoying delicious food! You work hard and you deserve to treat yourself every once in awhile. If you’ve just been promoted at work or you’ve been staying late every night to finish a challenging project, reward yourself with a great meal and exceptional atmosphere. If you tend to skip dessert most evenings, treat yourself with a dish of mochi or some of our Sata Andegi. You don’t have to have a specific reason to go out for dinner – we’ll love seeing you no matter why you’re here. If you’re in the mood for Japanese food or you have a reason to celebrate, visit our restaurant and you’ll receive exceptional service and a menu that has something for everyone.